Cotton Grass produces a mass of fluffy white seed heads in early summer and is a majestic site in wild areas here in West Wales. It will flower into September in more northern parts of the UK. 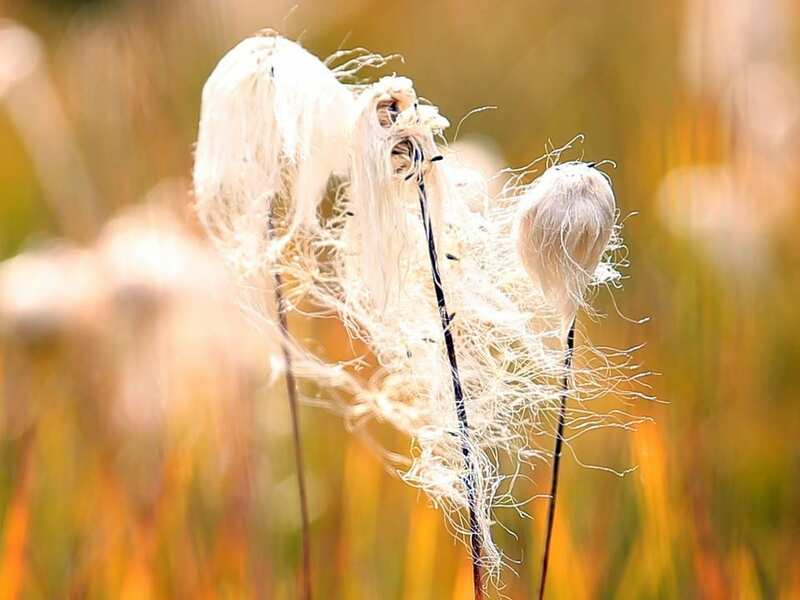 Eriophorum is usually found on acidic moorland and not suited to small ponds or water features. It is best planted in peat soils rather than loam and soon forms a grass-like carpet, however it grows perfectly well in our peat free compost! A superb native, evergreen, aquatic for a wildlife pond or a bog. Seed heads are easily removed if you don’t want it to spread. Planting depth: Plant in up to 15cm/6” of water, or into boggy soil. Propagate by division or collect seed and sow in autumn.